Yes, I am in a celebrating spirit! I really had a feeling that I wanted to do a few fast and easy holiday cards to celebrate the 4th. They are fast, easy and I think have a modern flair. 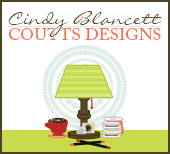 Love that you can spend a little time here and see my cards. Thanks so much for taking the time from your day. I appreciate it - and I hope that you can get some inspiration here! Sentiment is Mama Elephant a new FAVE maker of mine! Posting to: (as a DT Member) CASology!! Come play along -so much FUN! 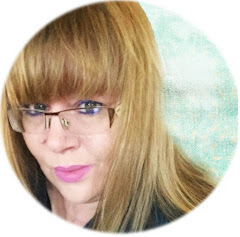 Gillian Ross -- A Warm hello to Gillian! Kimberly Wiener- You are here!!! And Special Guest Designer: Jenny! Posting to: Simon Says Stamp: PATRIOTIC! Happy 4th of July Kimberly! This is SUCH a cute design! I love the people silhouette! How cool! Thanks so much for joining us over at the Simon Says Stamp Challenge Blog! Just popping over to Congrat you on being the winner over at Simon Says Stamp :) I wanted to come & see your design, which btw is wonderful. Very fun idea :) Thank you so much for sharing. Hugz, Lisa. P.S Would love for you to come, visit & like :) Feel free to enter my design giveaway on Facebook. CASology CUE Card #55: CAMP! Summer Fun this Way: Pinspired Challenge! Let's GO WILD: Case Study! WESTCO Good Guys Annual Auto Show! No day like today: Playdate Cafe! happy BIRTHDAY! : Case Study! LET'S be MERRY: Festive Friday! CASology CUE Card #54: GOLD! Time to Party : CASE (E) This Sketch! Lucky Me: CAS (E) this Sketch! Thanks a Latte: LESS is More! Too Cool for School: CASology! Hello: Digital Hybrid CASE Study! Summer Lovin' : Digital Hybrid CASE Study! I love You this Much: CASE Study! You are Simply Amazing: CASE Study! CASology CUE Card #53: COOL! June Bugs and Fireflies: CASology! Card Class: Signal Man: Masculine Card! Smitten with You: Runway Inspired! CASology CUE Card #52: NEON! Art washes away the dust! : CASE this Sketch! Sledding in the Snow: Festive Friday! You make my heart Sing: Runway Inspired! We're Having a Party: CASE Study! A little note TO SAY hello: Pinspired! Have a Happy 4th! : CASology! 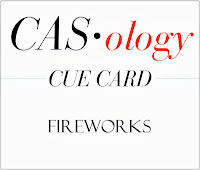 CASology CUE Card #51: FIREWORKS! NEW Challenge BLOG: House of CARDS!